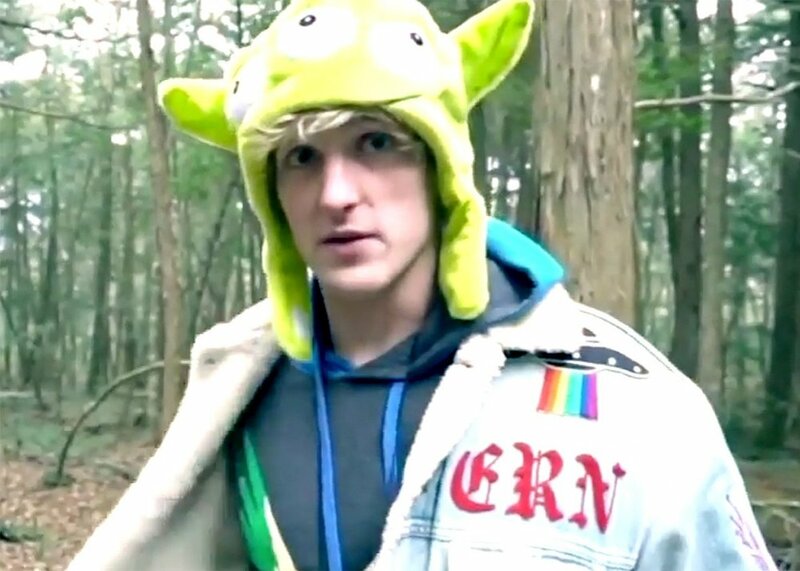 By now, much has been made of the actions of YouTuber Logan Paul — about posting graphic vlog footage of a dead body hanging in a Japanese suicide forest, about his laughter and antics on camera following the clip, and about his decision to ultimately remove the footage and apologize for a major blind spot in his judgement. Much has also been made of YouTube itself, which allowed this footage to stay up way too long. And much of the more audible criticism of Logan Paul- a self proclaimed “goofy dude with BIG goals” — has come from his fellow YouTubers, who openly chastised him for abandoning some unspoken principal of a free-for-all media platform. The part that concerns me the most — and there’s a lot in this story to be concerned about — is that Mr. Paul was living his life on camera in the first place, and so much more so, that the multimillion-dollar vlogging industry couldn’t detect a hint of its own hypocrisy when it sternly asked him why he had his camera on at all. Don’t get me wrong; I fully disagree with Paul’s actions and faulty moral compass, but I think it’s extremely hubristic for his cohorts to shout at him for living his life on camera when they’re all doing it too. His moment of reckoning was perhaps made worse by an obvious and inappropriately placed self-awareness at the start of the troublesome video, when he warned: “This definitely marks a moment in YouTube history, because I’m pretty sure that this has never hopefully happened to anyone on YouTube ever.” Swing and a miss, Logan. In hindsight, it’s hard to read that sentence without wondering if he was secretly frothing at the possibility that he was indeed creating some watershed YouTube moment. Paul’s failure is much more fundamental than a misguided and insensitive belly flop; it’s the critical mass of countless times the question — should we actually be filming our entire lives? — has gone unasked. Instead, we ask questions like: “Yo, are you alive” which is what Logan said to the former body of a person who’d once been alive, who’d had a family, and hopes, and dreams, and heartache, and despair, as it hung stiff and lifeless in a Japanese forest. A forest Mr. Paul went to, by the way, because of a fascination with the urban legends that come along with a storied and sacred suicide ground. That’s the part people still seem to be missing — he went to this place looking for this situation to materialize, and when it did, he slapped a warning on it and then posted it anyway. That Paul’s apology features a sober apprecition for the gravity of this situation is also troublesome; he appears more humbled by the outcry his video inspired, rather than the profound impact of having stumbled across a dead body. This is what happens when people start to give up their identity for their brand. This is what happens when you take your name and turn it into a motion graphic and slap it over an affordable music bed, and start filling your home with low-wattage LED lighting rigs, and maybe a portable green screen, and a couple of tripods, and some well-researched cameras, and a good lavalier mic; with a lower-third icon, and a well-composed thumbnail, and also if you enjoyed this video, please remember to like and subscribe, and check the description below for more links to my website. The appeal of a well-documented life can be strong, and I’ve previously made the argument that some vloggers provide experiences or insights to folks who may never be able to get out of their own houses, hometowns, provinces, countries, or continents. I’m all for people sharing their lives, but do it as people. This should always be a conversation about the message and the messenger, not the medium. In a former career, I used to advocate heavily for self-branding; now I think it’s a curse. I respect the hustle and will always champion those who are driven to make something of themselves, but I think the game has changed. Each and every one of us has abused social media to the point where we’re all just race cars — sleek, stylish, over-engineered and covered in corporate logos. Each time we conviently omit our flaws and only post about our favorite features, we spackle over our humanity with a corporate brand. Each time we permit some platform to show us an ad just to keep our access free, we give up a part of our consciousness to advertising space. And each time we affect a presentational speaking style and do multiple takes on our voice-over narration, we really do cede a piece of our mortal souls. YouTube started as this organic place for people to share video content, long before we all covered our bodies with devices capable of capturing life in 4K resolution, at variable frames per second. We should all strive to get back a bit to that simpler time; less reliant on self-promotional iconography; less driven by the desire to be snatched up by content publishers; less eager for our brand to go viral. One of the more distasteful elements of Mr. Paul’s particular brand identity, while certainly no less demeaning or disappointing than his off-screen planning or on-screen antics, is the ostentatious clothing and outfit he wore into that forest. Far be it from me to condemn anyone for how they choose to dress — my issue with his presentation isn’t with the clothes he wears, though it’s not a style I would personally ever adopt — but the man walked into a sacred and meaningful place, in a country and culture that has always demanded and valued honor and respect, dressed in cartoonish colors and outrageous style. This is the behavior of someone who has turned their identity into a lifestyle brand and their reality into a game show. At best, this is an unsustainable model for obtaining one’s 15 minutes; at worst, it’s the entire subjugation of everything that makes a person unique and special. Logan Paul and YouTubers alike would be smart to consider this whole situation and ask themselves a very important question — one which truly has the power to shape the future of this medium, the future of its “stars” and indeed the direction all of us will go as more and more of our lives become content.